In the North Island, gold mining was a key part of Coromandel’s early development. Similarly, in the South Island, Otago was the centre of the gold rush in the 1800’s. Today, both Coromandel and Otago offer great family camping and sight seeing, and a golden opportunity for those who like to get off the beaten track. We had a look at Coromandel camping on Monday. Now let’s have a look at Otago. 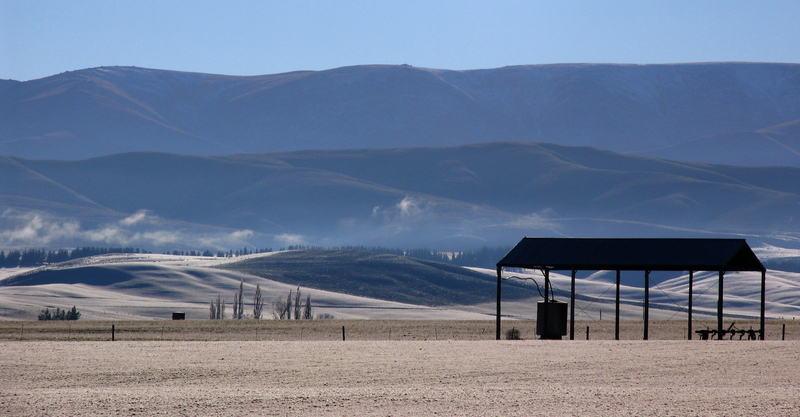 Dropping into Central Otago from the Mackenzie Country marks a change in many respects. Apart from the colour of the rugby jersey, the colour of the land changes too. The typical schist rock begins to show itself and the sun, if it is possible, gets hotter in summer. The Lindis Pass is usually a thoroughfare to further down to Wanaka or around to Alexandra in the Cromwell Gorge. To get some insight to the gold mining history of the Otago region, the disused Lindis Pass Hotel that dates from the late 1800s, provides an opportunity to see how isolated the Central Otago region was and how difficult it was for travellers over the pass. Located at Nine Mile Historic Reserve, the building is undergoing restoration work as the stonemason stabilises the rock in the remnants of the hotel that sits in the middle of the campground. Keep an eye out for the turn off because the campsite is not signposted, nor is it visible from the road. From SH8 take Old Faithful Road opposite Timburn Road and continue alongside the Lindis River until you get to the campsite. For those who persist, the rewards are worth the effort of going down the six kilometre gravel road—even for smaller camper vans. The road is part of a working farm, so be wary of other users. At the campsite there is a loo, water is from the Lindis River, and an interpretation panel that keeps the memory of the hotel alive. On a hot dry, sunny Otago day, this is a perfect place to camp. And it’s free. 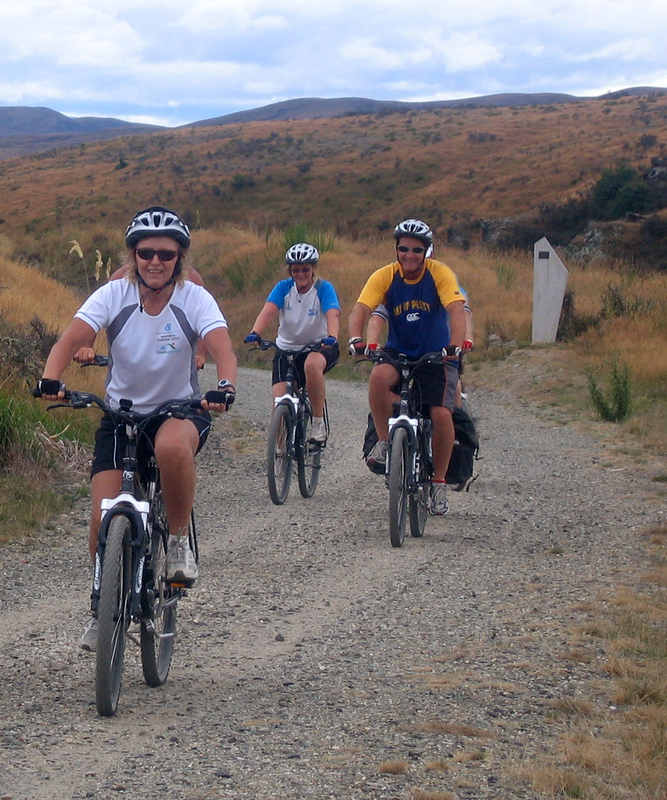 If you are down in Central Otago doing the rail trail, there is a golden opportunity for side trips to historic mining sites in the region. St Bathans is an old gold mining town near the foot of the Hawkdun and Dunstan Ranges, 60 kilometres north of Alexandra, on the road to Ranfurly. Established in 1863 to service the area’s goldmines, St Bathans is a place that time has passed by and the streets are straight out of mining history. There are no facsimiles here. St Bathans was typical of a gold mining town because the first buildings were probably not intended to last very long, due to the fickle nature of gold mining. Unexpectedly, some have survived and form an eclectic mix of mud brick and timber buildings including the town hall which has been restored. Camping is available at the St Bathans Domain campsite. It’s a basic DOC site with toilets and water from a tap. There are nine tent sites and it’s free to stay there. 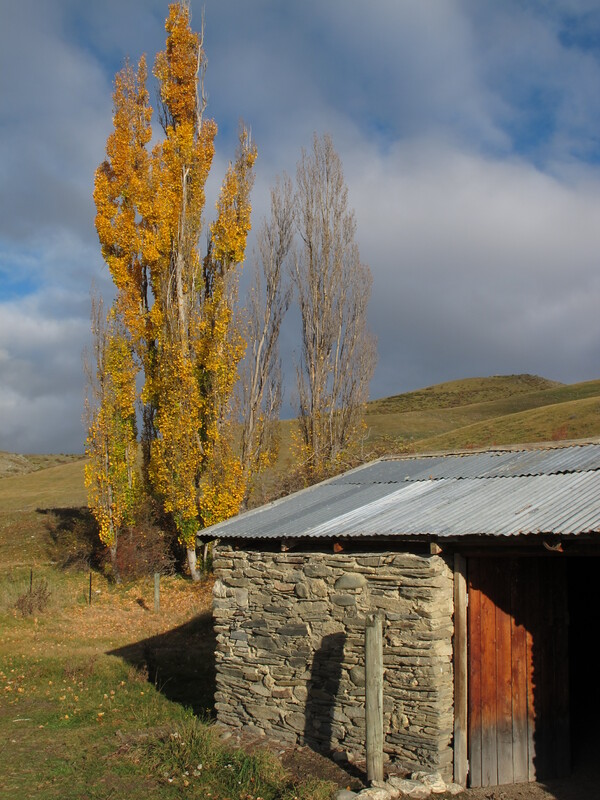 You can always stay in Ranfurly, or in any of the small towns like Wedderburn on the way around the Central Otago rail trail or even Naseby, another former gold mining town where DOC manages the old Post Office. The building contains much of its original fittings and equipment and is currently leased as a craft shop and information centre. A camp ground at Danseys Pass coach inn has the basics of camping on hand and sits adjacent to an old arboretum (tree collection to those who had wondered). The site provides access to Oteake Conservation Park at Buster diggings with gold mining relics like mine tailings and water races. Getting into a Graham Sydney landscape can be as easy as a visit to Oteake Conservation Park. 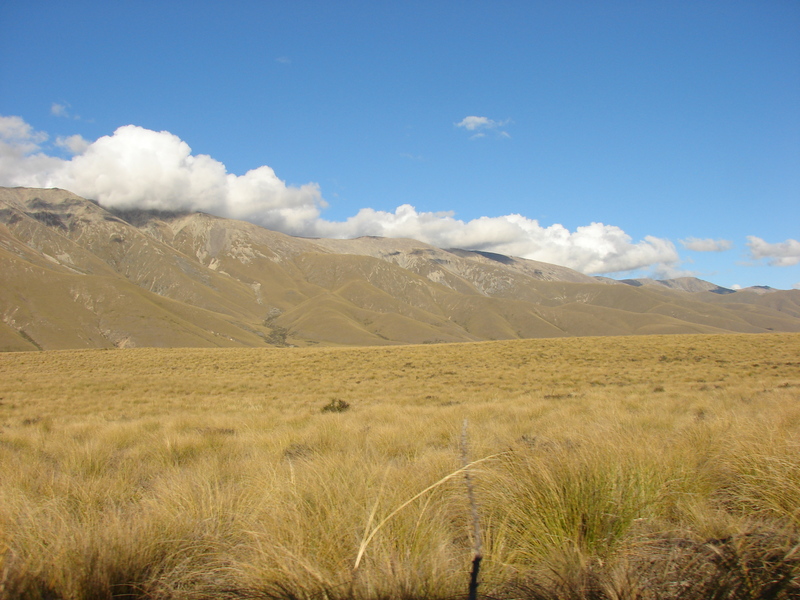 Over 64,000 hectares of the St Bathans, Ewe, Hawkdun, Ida and St Marys ranges form the park with outstanding landscapes including mountainous high country, rolling tussock hills, scree, wetlands and shrubs. There is a network of huts in the park but for those driving around and looking for a less adventurous access to the park, the Homestead Campsite is a good starting point. This basic campsite has water on tap and toilets. Like many of DOC’s more obscure sites, it’s free to stay there and provides an ideal platform for exploring options for mountain biking, 4WD, fishing, and easy tramping in the nearby St Bathans and Hawkdun Ranges. From SH85, turn into the Ranfurly end of Loop Road, then into Hawkdun Runs Road and follow the road to the campsite. There are two unbridged fords to contend with but these are not an issue in summer.